| Singapore Food Blog | Singapore Blogger | Singapore Food Reviews | Singapore Foodie | Singapore Best Food | Inspired by the wide ranging food available & travel accessibility in Singapore, this blog serves information shared and experienced by the author. Beware, it might be highly addictive. 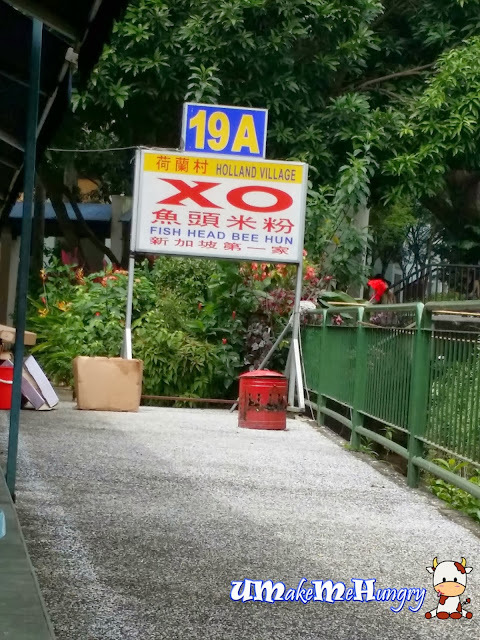 It's so natural when we talked about the Famous Fish Head Bee Hun, we will automatically link ourselves with Holland Village's XO Fish Head Bee Hoon. 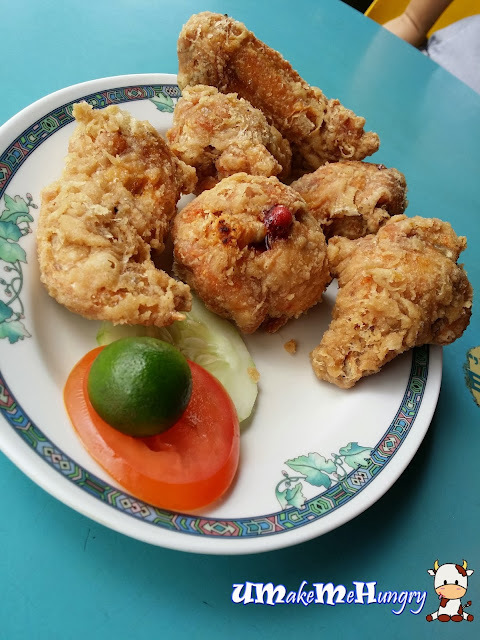 I have been patronizing their stalls during school days when they were located in one of the Coffee Shops among the vicinity of the popular and crowded Holland Village but soon after its shift, I had gradually lost touch to the good food. Nevertheless, the thought of it still pack me with anxiety when I knew that we were going to have that for lunch. It's more economical to order a huge bowl of Fish Meat Bee Hun if you are dining in groups as it's more costly to order individually. 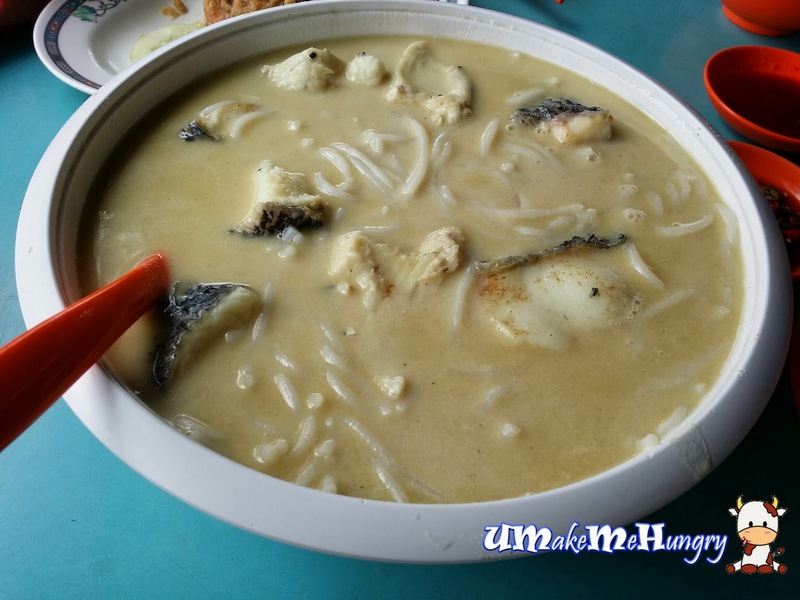 Portion is generously with thick slices of fish meat added with cabbages to sweeten the broth taste. 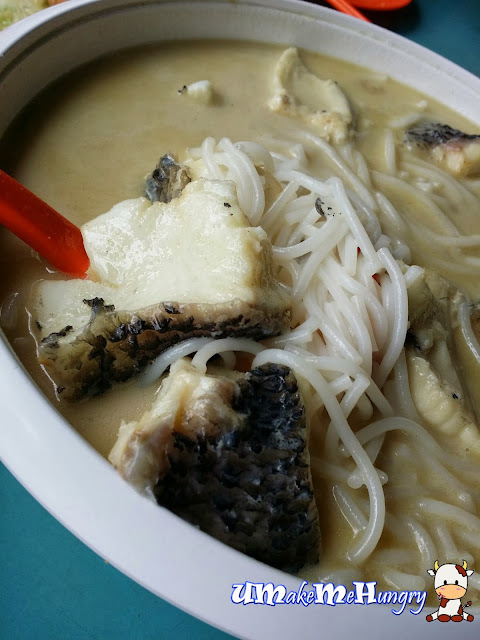 Chunks of big thick meat were awesomely fresh, covered up under the milky flavour XO broth. Have a good stir with the ladle and distribute into smaller bowls. Another notable dishes of Holland Village XO Fish Head Bee Hun is its prawn paste chicken. Crisply fried to golden brown perfection, as it was served to our table, we managed to see the dish was still sizzling with blood oozing out from one of the drumsticks. 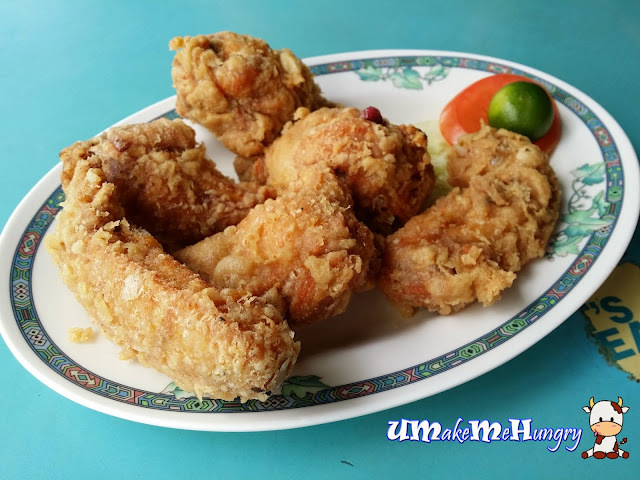 Have a squirt of lime juice over the crunchy crust of the chicken wing to enhance its taste. Yummy! In conclusion, their XO broth was tasty but was lessing out on the insensitivity of its alcohol content. I would prefer the one in Chop Lian Hin located in Pandans. Afterall, I would say that the standard of food was above average and definitely worth a little "BO" drinking down the XO broth which makes us sweat a little. ©Copyrighted 2017 by UMakeMeHungry. All Rights Reserved. Simple theme. Powered by Blogger.